Live at Beckwith Hall and be steps away from class and student activities. 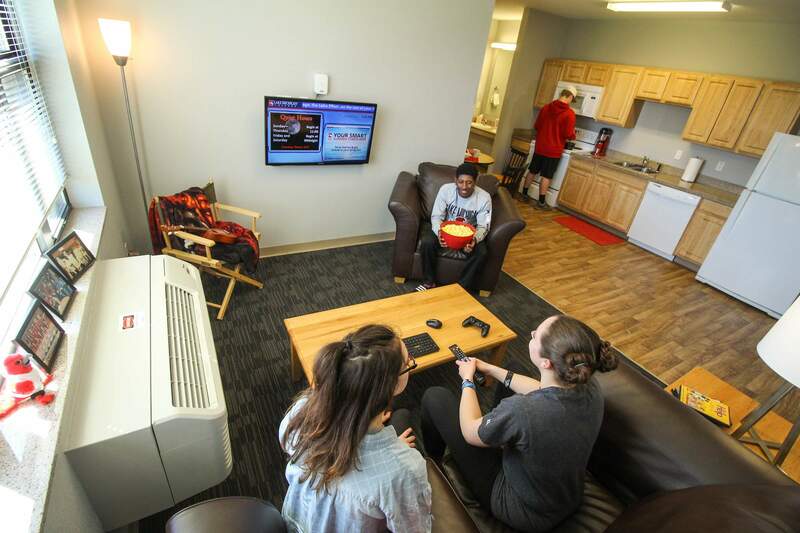 Each suite is designed to provide students with plenty of comfort and convenience. There are also plenty of study spaces in the building, and places for fun and relaxation both inside and out. Beckwith Hall is the student residence hall located on the Benton Harbor Campus. Beckwith Hall features 188 beds, including 41 four-person suites and 12 two-person suites, and it is approximately 63,215 square feet. Amenities include common areas, a fitness room, in-suite washer and dryer, full kitchens, Wi-Fi, and 42” flat panel televisions. 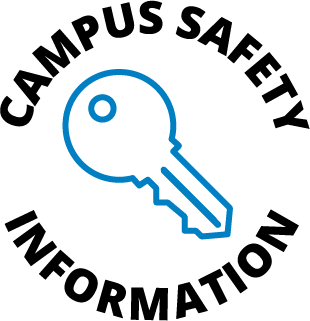 Security is provided through 24/7 access control with patrols by campus and community security personnel. 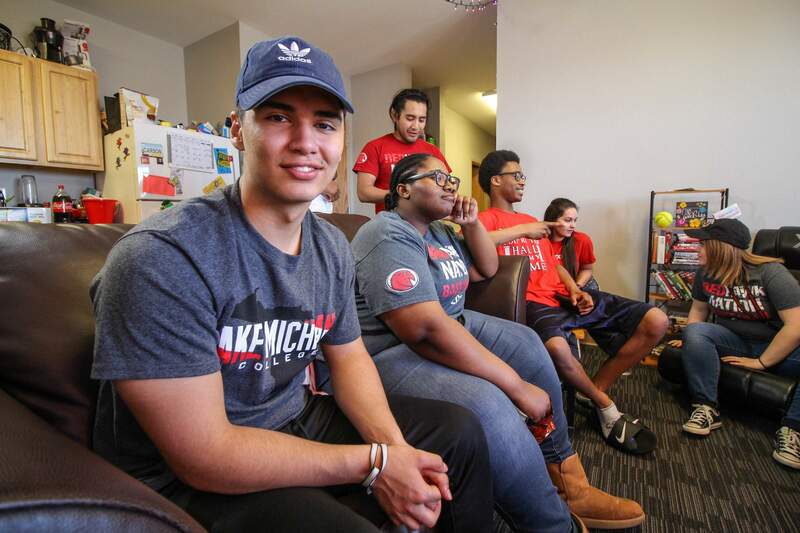 Students who choose to live in Beckwith Hall automatically qualify for in-district tuition. 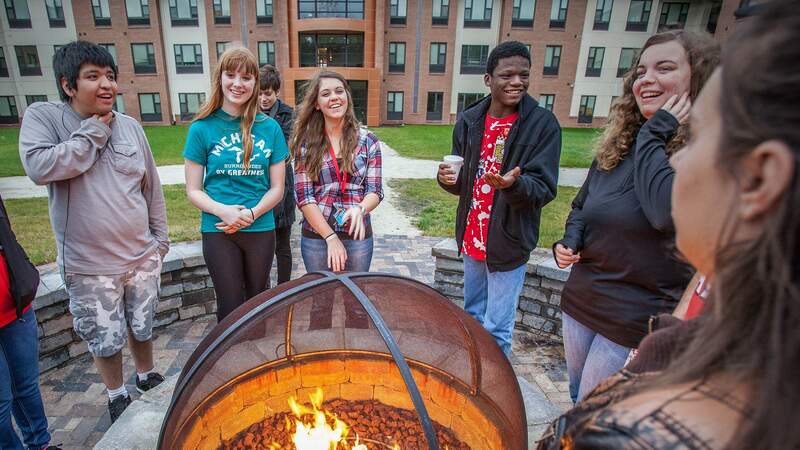 Learn everything you need to know to become a resident at Beckwith Hall! 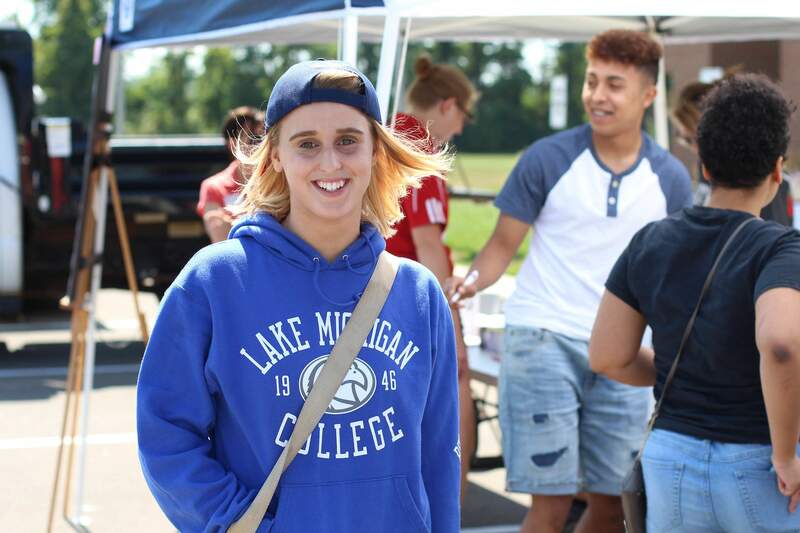 Learn helpful information about Beckwith Hall and tips on your student's college experience.